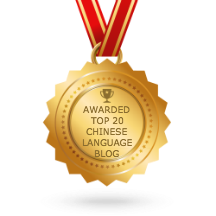 I have been posting Chinese characters every day for more than 8 years. It is more than 2000++ characters that I have posted. I think it is time for me to take a break to re-visit and re-enhance the characters and tutorials that I have posted all these years. I am thinking to recreate some of the low-quality sounds and the missing animated stroke images, especially those early year posts. I am not sure how long it will take for me to come back posting new characters again. But I hope it will be soon. Happy learning and keep learning .